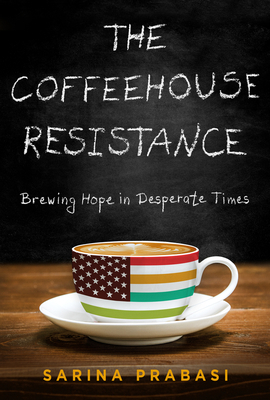 Part coming-to-America story, part lyrical memoir, and yet another part activist’s call to action, The Coffeehouse Resistance: Brewing Hope in Desperate Times is timely, funny, and poignant. Writing as a mother, immigrant, new American, coffeehouse owner, and international nonprofit leader, Prabasi’s story weaves between Nepal, Ethiopia, and the United States. When Prabasi and her husband move from Addis Ababa, Ethiopia, to New York City with their young daughter in 2011, they start a thriving coffee business, grow their family, and are living their American Dream. After the 2016 election, they are suddenly unsure about their new home. Reclaiming the tradition of coffee houses throughout history, their coffeehouses become a hub for local organizing and action. Moving from despair to hope, this story is ultimately about building community, claiming home, and fighting for our dreams. Sarina has lived the life of a global nomad and is a new American. She was born in the Netherlands to Nepali parents, and was raised in India, China and Nepal, after which she spent formative years in the United States and in Ethiopia. Sarina is a seasoned leader in international development --- working on global health, education, water and sanitation for over 25 years. In 2011, she moved from Addis Ababa to New York City and started Buunni Coffee with her husband. Their small business has become a hub for community conversation and action. Sarina is the proud mama of two daughters, who keep her learning and laughing every day.